I think my earliest impressions of Jack Daniel’s—America’s most iconic whiskey maker—were via photos of Keith Richards. In the ’70s, photos of “Keef” on the road and in studios with the Rolling Stones almost always seemed to entail a bottle of Jack in one hand. In later years, I became more intimately acquainted with Jack Daniel’s during a period in New York City when Jack & Coke was my favorite boozy beverage. And so, I thought I knew Jack Daniel’s. But, in actuality, I didn’t know Jack. For example, I wasn’t even aware that Jack Daniel’s produced anything other than the black-labeled Old No. 7 Tennessee Whiskey that most of us think of when we picture Jack Daniel’s in our minds. And sure, that’s the Lynchburg, Tenn., company’s biggest seller. But, doing a little digging, I was surprised to learn that Jack Daniel’s makes dozens of whiskeys, including limited and special- edition bottles such as their 1904 Gold Medal Replica, the Ã¼ber-fancy Belle of Lincoln, Silver Cornet, and Angelo Lucchesi 90th Birthday whiskey to honor his 57-year career as a Jack Daniel’s salesman. The four Jack Daniel’s products that are most widely distributed and readily available are the aforementioned Old No. 7, Gentleman Jack, Single Barrel Select and Tennessee Honey. Recently, I decided to get acquainted with Jack and did a taste test of all four. Hey, somebody had to do it! Thankfully, I don’t live in Tennessee’s Moore County, where Jack Daniel’s is made, because it’s a dry county. Ironically, you can’t buy Jack in the very county where it’s produced. Well, onto the whiskey—but first, a bit of techno trivia. I was told by a Jack Daniel’s expert that although Jack Daniel’s is produced like bourbon, it’s not called a bourbon because it is charcoal-filtered before being barrel-aged, a step that is not part of the usual bourbon-making process. Still, it does appear on many bourbon menus in bars and restaurants. I began my Jack Daniel’s tasting with the black label Old No. 7 ($22.99) since, as stated, that’s the most ubiquitous of the JD product line. With distilled spirits, you can’t really get your entire nose into a glass like you would with wine; it burns too much. But, taking a little whiff of Old No. 7, I found caramel and vanilla aromas, along with a slight oaky note. On the tongue, the whiskey sits mid-palate, and indicates a pretty good balance between sweetness and oak. Still, this isn’t a whiskey that I’d choose to drink straight. I’d prefer it in cocktails, like the classic Jack and Coke: one part Old No. 7 and three parts Coke, served over ice with a lime slice. Next up was Gentleman Jack ($29.99), which is Jack Daniel’s product aimed at the Crown Royal drinker, albeit priced a few bucks cheaper than Crown. Gentleman Jack—with the emphasis on “gentle”—is a much mellower sipper than Old No. 7. That’s because it undergoes two different charcoal filtrations, once before barrel-aging and again before bottling. Gorgeous aromas of toasted oak, honeysuckle and vanilla are backed up by hints of honey and vanilla on the palate—smooth and light. 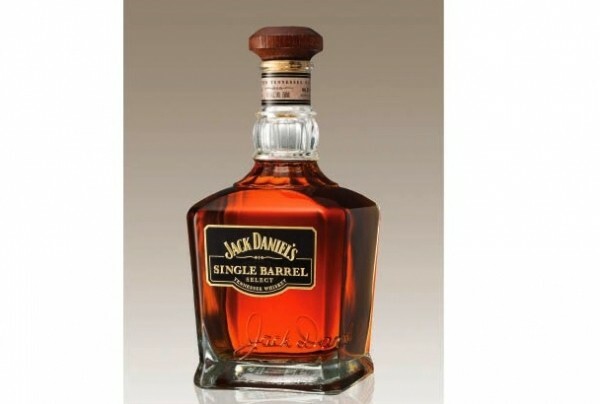 Jack Daniel’s Single Barrel Select ($45.99) is the bomb, by far my favorite JD product. Extra oak leads to a longer finish and a creamy mouthfeel, and the complex flavors of this well-made whiskey are beautifully integrated. Finally, there’s my wife’s favorite: Tennessee Honey liqueur ($22.99), which I have to admit is darned tasty. It’s essentially Old No. 7 with what tastes like pecan pie added to the bottle—sweet, but not syrupy. And now, I do know Jack!